It’s been a while since Facebook separated out its Message service from the main app. 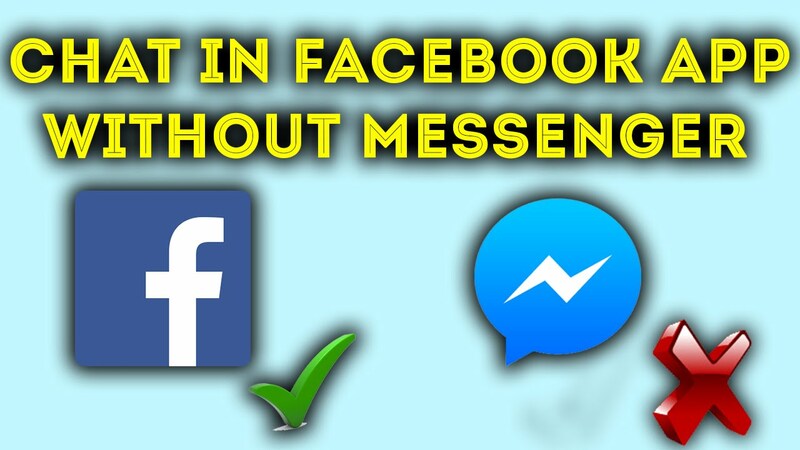 Not everybody is thrilled with the need to use two apps, and the recent move for Messenger to become the default SMS app on smartphones, sometimes against the will of Android users, has led many to consider removing the app altogether. So we are posting How to Chat on Facebook App without using Messenger Using Modded Facebook App. So Download Now & Enjoy Chat in Facebook App without using Messenger App. - This Apk is compatible with ARM devices only. - You will need to uninstall any version of facebook before installing any of these.